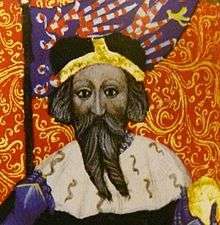 Jobst of Moravia (Czech: Jošt Moravský or Jošt Lucemburský; German: Jo(b)st or Jodokus von Mähren; c. 1354 – 18 January 1411), a member of the House of Luxembourg, was Margrave of Moravia from 1375, Duke of Luxembourg and Elector of Brandenburg from 1388 as well as elected King of Germany (King of the Romans) from 1410 until his death. 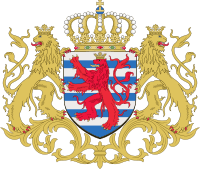 Jobst was an ambitious and versatile ruler, who in the early 15th century dominated the ongoing struggles within the Luxembourg dynasty and around the German throne. Jobst was presumably born in 1354 in the Moravian residence of Brno, the eldest son of Margrave John Henry, younger brother of Emperor Charles IV, first cousin of King Charles V of France and cousin-in-law of both King Richard II of England and King Louis I of Hungary. Designated heir upon his father's death in 1375, he ruled the Margraviate of Moravia, often quarreling with his younger brother Prokop and the Bishops of Olomouc. 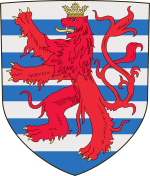 In 1388 Jobst received the Duchy of Luxembourg, given in pawn by his cousin King Wenceslaus, son of late Emperor Charles IV. The same year, Jobst also became Prince-elector of Brandenburg, pawned by Wenceslaus' younger brother Sigismund, who focused on his rule over the Kingdom of Hungary. In 1394 Jobst joined a rebellion of Bohemian nobles around Boček II of Poděbrady against Wenceslaus, whom he had arrested at Prague Castle and later taken into custody by the Austrian Starhemberg dynasty at Wildberg. 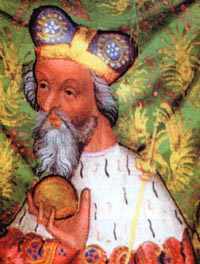 Peace was made at the instigation of Wenceslaus' brothers Sigismund and John of Görlitz; however, once released, the king had Jobst expelled from Prague. Sigismund and Jobst signed a mutual inheritance treaty in 1401, but later again fell out with each other. After the death of King Rupert of Germany in 1410, Jobst was elected successor by four of the seven prince-electors on 1 October, opposing his cousin Sigismund who had already been elected by three electors on 10 September. The deciding vote came from his cousin Wenceslaus in his capacity as King of Bohemia, however, though Jobst had the greater support among the electors he died on 18 January 1411–possibly poisoned–, clearing the way for Sigismund's election as King of the Romans and his later coronation as Holy Roman Emperor. Elisabeth of Opole (1360–74), daughter of Duke Władysław Opolczyk, in 1372. Agnes of Opole (d. 1409), daughter of Duke Bolesław (Bolko) II of Opole and sister of Duke Władysław, in 1374. King of the Romans, Margrave of Moravia, Lusatia and Brandenburg, Elector of Brandenburg, Duke of Luxembourg,Vicarius of Italy, Vicarius of the Holy Roman Empire. 1 2 3 4 Krzenck, Thomas (2013). "Ein Mann will nach oben" [A man wants to rise to power]. Damals (in German). Vol. 45 no. 8. pp. 72–77. Chisholm, Hugh, ed. (1911). "Jobst". Encyclopædia Britannica. 15 (11th ed.). Cambridge University Press. p. 427.